This is 12 Gauge Federal 2 3/4" 1 oz. 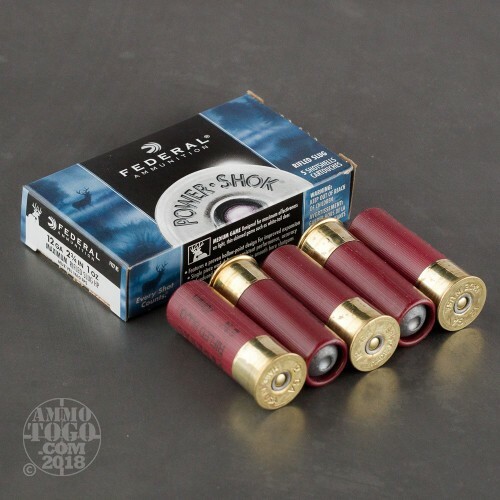 Power Shok Lead Rifle Slug Ammo. This ammo travels at 1610fps and has 2518lbs. of energy at the muzzle. The Power Shok ammo is considered by many the best ammo ever invented. 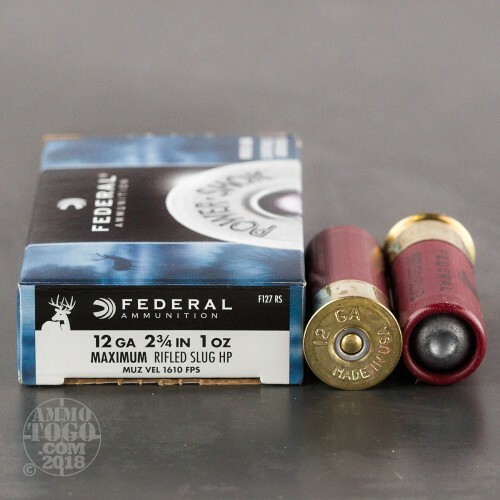 It is a tried and true winner and you'll be thrilled with the power these slugs bring to the target. A one piece cushioned wad helps reduce felt recoil, while the hollow point gives it positive expansion. For use in smooth bore barrels.This ammo is packed in 5rd. boxes, 250rds per case. I purchased a case of these (250) several months ago for indoor practice during the winter months. My primary shotgun is a Benelli M4 with a full length magazine tube. So my concerns with ammunition are that it A) fits properly in the magazine tube (some shells are a bit too long to fit 7 rounds), and B) that the weapon cycles properly. These slugs work perfectly 100% of the time. They fit properly, and cycle beautifully. They are also extremely accurate in my use up to 25 yards. I just purchased another case and I’m looking forward to testing accuracy outdoors up to 100 yards. I highly recommend these slugs. The Shot-Gun Shells I bought, Were Great. 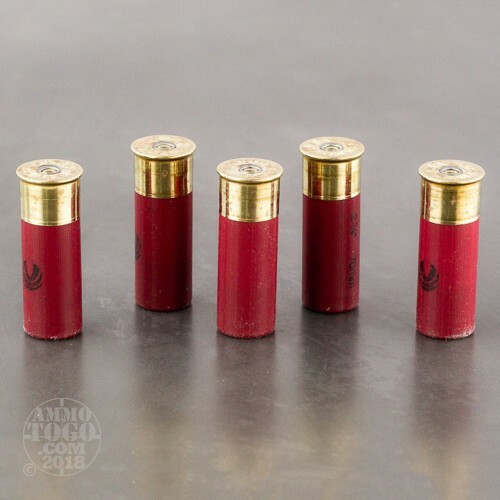 I would Buy More Of These Shells..
Federal 12 Gauge ammp is the best available when considering accuracy, lowest spread and overall effectiveness. This particular slug is the best available in my opinion.